COMPANY PROFILE Medtronic PLC is a medical technology company. It primarily manufacture and sell device-based medical therapies. It operates in Cardiac and Vascular, Minimally Invasive Therapies, Restorative Therapies and Diabetes segments. One of the largest medical device companies, Medtronic develops and manufactures therapeutic medical devices for chronic diseases. Its portfolio includes pacemakers, defibrillators, heart valves, stents, insulin pumps, spinal fixation devices, neurovascular products, and surgical tools. 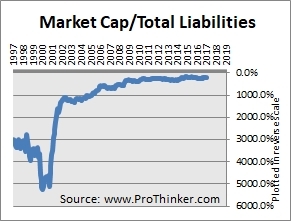 The company markets its products to healthcare institutions and physicians in the United States and overseas. Foreign sales account for about 45% of the company’s total sales. 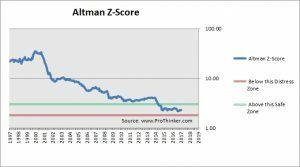 The latest Z-Score of the company as at Apr 2017 was 2.3, which is in the grey area. 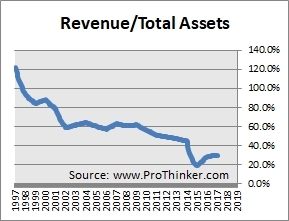 The amount of revenue generated from assets has been on a downtrend since 2007. 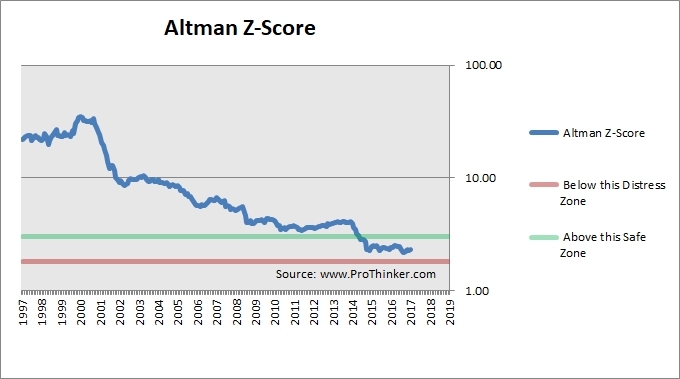 The level of retained earnings relative to assets has been on a downtrend since 2013. 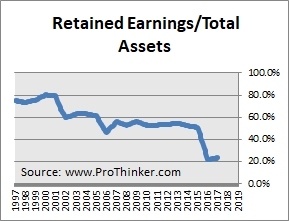 Currently, retained earnings are at 23.3% of total assets. 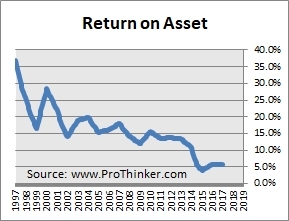 EBIT as a % of assets has been on a downtrend since 2010. 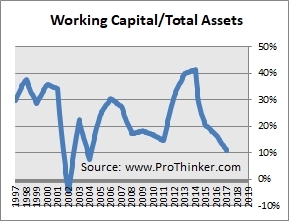 Currently, EBIT is at 5.7% of total assets.